Africa, the birthplace of humankind. An enthralling destination and an expansive multicultural continent that ranks high on every traveller’s bucket list. Without a doubt, this is a place you need to visit at least once in your lifetime, however, the sheer size of the continent coupled with the countless sightseeing opportunities make this destination impossible to experience in a single trip. Nevertheless, this doesn’t mean that you can’t make the most of your time here – you simply need to organize your itinerary and stick to the plan! With that in mind, here are the key things you should know and do before you embark on your African adventure. First things first, understand that Africa has a unique ecosystem you might not be accustomed to. And if you’ve never been to Africa before, your immune system and digestive tract are probably going to need a boost in order to adjust to their new living environment. With that said, your first order of business should be to visit an experienced travel doctor who will be able to tell you everything you need to know about your destination(s) health-wise, and most importantly, immunize your body accordingly. Remember, the point of your trip is to enjoy it and come back as healthy as you were when you left, so don’t skip a visit to your doctor beforehand. It’s estimated that the African continent boasts a whopping 2.000 local languages and dialects, but that doesn’t mean that you will have a tough time hailing a cab or getting around no matter where you land. In fact, English is one of the official languages in the majority of the countries, so you shouldn’t have a problem communicating in hotels, restaurants, bus stations, and even on the street. That said, it doesn’t hurt to learn a few key phrases in the local language. This will make your stay more enjoyable and immersive, and your effort will be kindly appreciated by the locals. Remember, the African peoples are highly hospitable so addressing them in their language will deepen your bond even further. There is no denying that the African continent is a natural wonderland, but all that sightseeing and exploration might prevent you from experiencing the unique, beehive vibe of its cities. So why not hit the urban gems first? On your list you should have at least one major city from every region of the continent, so make sure to include Nairobi (Kenya), Cape Town (South Africa), Marrakesh (Morocco), Lagos (Nigeria), and of course, Cairo in Egypt. If you’re taking a prolonged trip, then you can connect these and many more cities in one grand cross-country adventure. Being the second largest continent on the planet, Africa is the place to experience every ecosystem in existence. 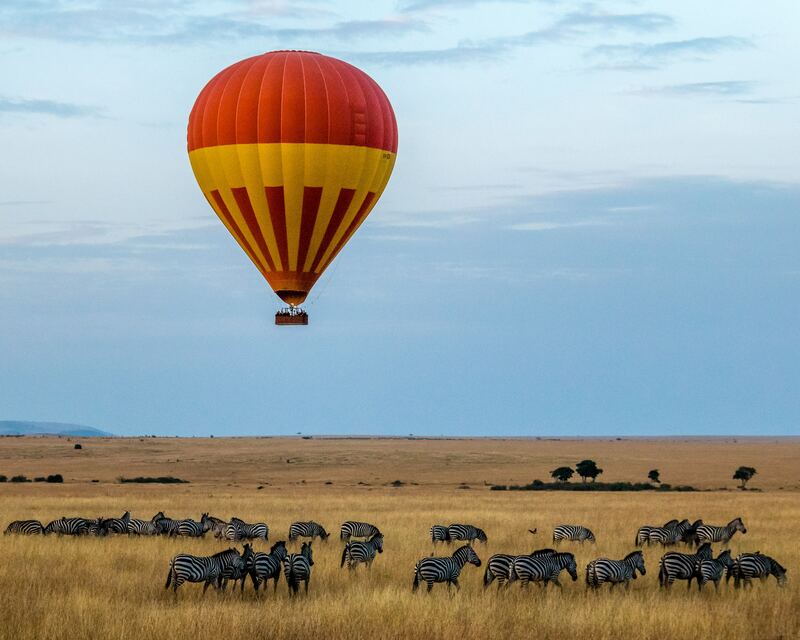 From the snowy icecaps of Mount Kilimanjaro in Tanzania and the Rwenzori Mountains in Uganda to the scorching sand dunes of Namibia, all the way to the vivid woodlands of the Serengeti, Africa is every nature lover’s paradise. The best thing about an African cross-country adventure is that you can reach every destination by road with relative ease. Provided that you don’t wait too long on border crossings, you can easily travel by motorway from city to city and from a national park to the coastline. Firstly, embrace the waiting times and come to terms with the fact that the bus won’t pick you up on time. Hey, it’s part of the charm. The ride can be bumpy, so wear your seatbelt. People will bring everything from fruit and vegetables to poultry and other animals on board. Again, it’s part of the adventure. Your bus fare includes luggage, don’t allow the driver to charge you extra for your travel bag. The African peoples are a friendly bunch, and even if you encounter a grinch or two here and there, they will still respond better to a smile and a friendly face. Keep in mind that a sincere smile can get you out of a jam at a border crossing and an extra ice-cream scone at a restaurant, so smile. That said, you should also hold your ground, especially if you feel like you’re being swindled or forced to but something you don’t like – no means no and the locals will respect your determination. Contrary to what Hollywood and tabloid media would like you to believe, Africa truly is a welcoming, friendly place. Much like in any region of the world, there are no-tourist conflict zones you should stay clear of, but all of the popular traveller destinations are completely safe. So banish all fears you might have, and enjoy your lengthy stay. Keep your bag in front of your body, firmly closed. Travel around with a companion, if possible. Stick to your tour guide. Avoid venturing out into unfamiliar regions of the city at night. Africa is a magical continent filled to the brim with architectural wonders and expansive natural gems you need to visit at least once in a lifetime. Be sure to use this guide in order to make your travels as fruitful and enjoyable as possible.